Boise, Idaho – February 2, 2018- Idaho State Representatives Priscilla Giddings (R-7), Representative Christy Zito (R-23), and Representative Heather Scott (R-1) released their Idaho Victim Protection Act today which will be given a print hearing in the House State Affairs Committee next Thursday. 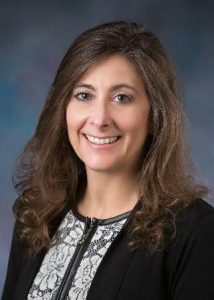 These legislators have been working with bill drafters, victims and other legislators to create a more common sense Idaho solution to counter the efforts of the lobby group Marsy’s Law for Idaho. 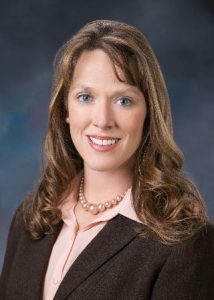 The Idaho Victim Protection Act would provide a series of additional protections for Idaho victims over and above those in Marcy’s Law. These protections include an expansion of the Idaho’s Victims Information and Notification Everyday (VINE) program so victims would be notified at every step throughout the criminal justice process including the time of the criminal’s release from incarceration. Additionally, it directs the state government to provide 12 protections to crime victims under a new section of code without the expense of changing the state constitution, as Marcy’s Law would do. “We chose this language because it provides for the protection of victims and yet allows flexibility for further protections without having to change the constitution,” said Rep. Giddings. Giddings, Zito, and Scott were responsive to constituents and attorneys who raised concerns with last year’s proposal about the way victims were defined in the Marcy’s Law proposal. 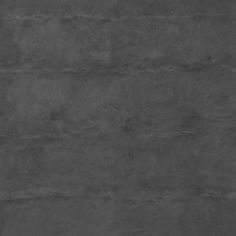 It was excessively expensive, permanent in nature as a constitutional amendment, and it gave victim status to corporations and businesses. 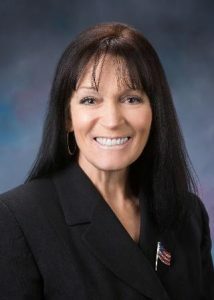 By placing victim protections instead of rights into Idaho code, it is a more efficient, cost-effective, and reasonable way to address this important issue. 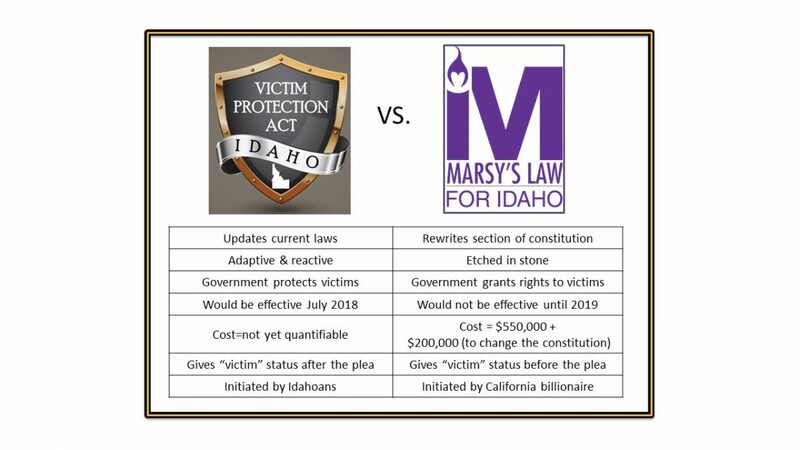 Most importantly, the new Idaho Victim Protection Act would cost significantly less than Marsy’s law. If passed, the Idaho Victim Protection Act would simplify and clarify the role of the justice system in dealing with victims—ending confusion, delays, or further injury of victims. It is a simple and clearly worded bill but does not create an elaborate new class of citizen through a civil right given by the government, new agency, or a constitutional mandate. The new code would not diminish or infringe on the rights of victim or criminal. It does recognize and protect victims “from further injury or loss” by law.